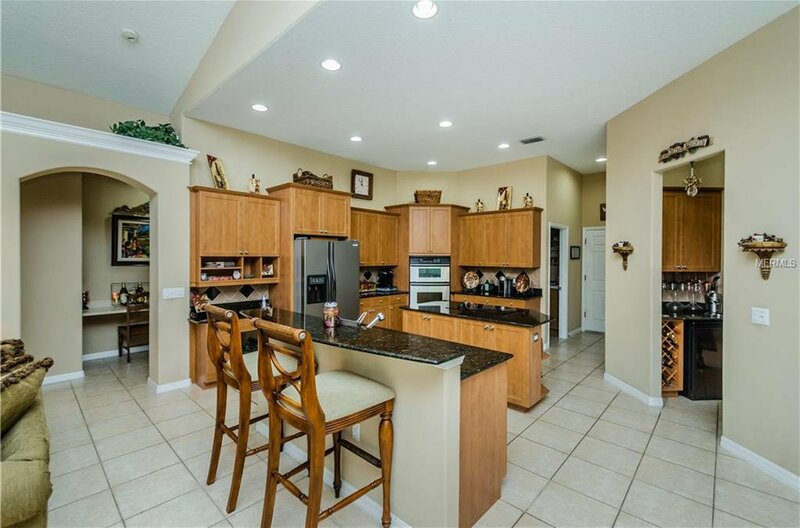 Custom Move-in ready and Absolutely Beautiful! 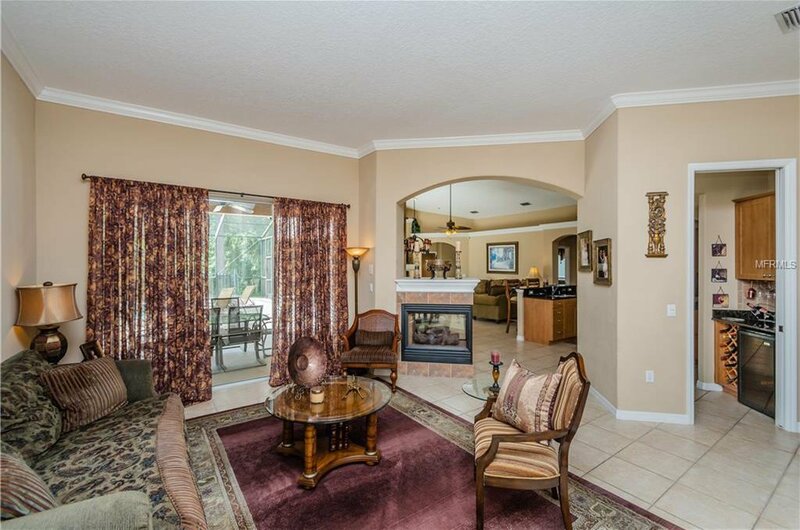 4 bedroom, 3 bath, PLUS Bonus room, Office, heated pool and jacuzzi with a 3 car garage on ACREAGE. 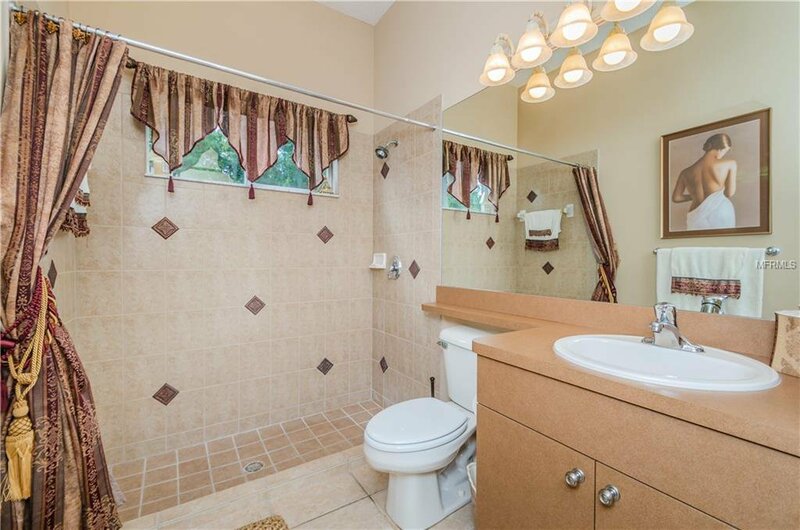 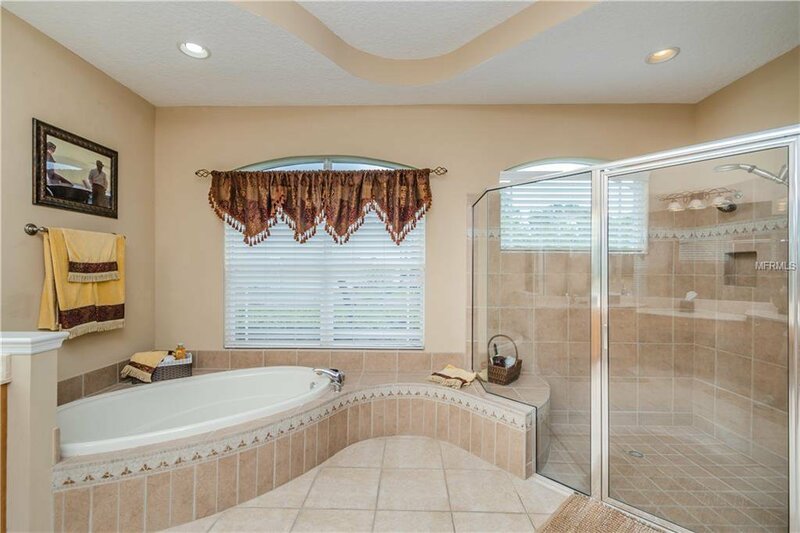 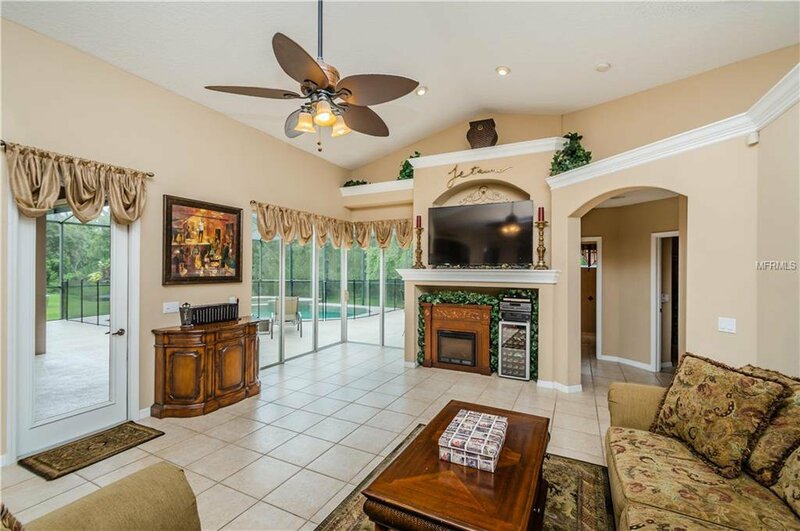 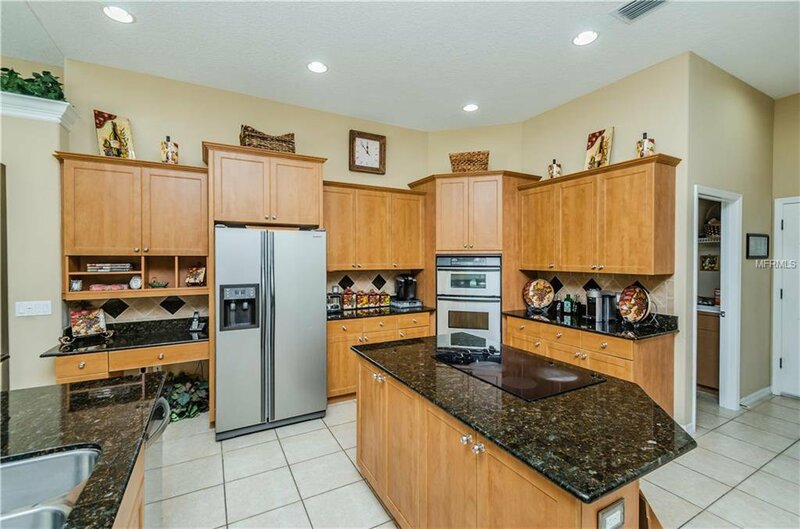 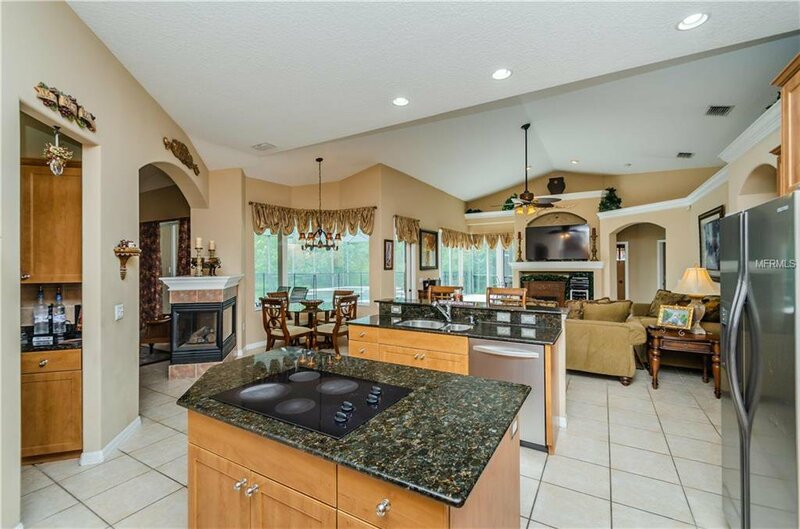 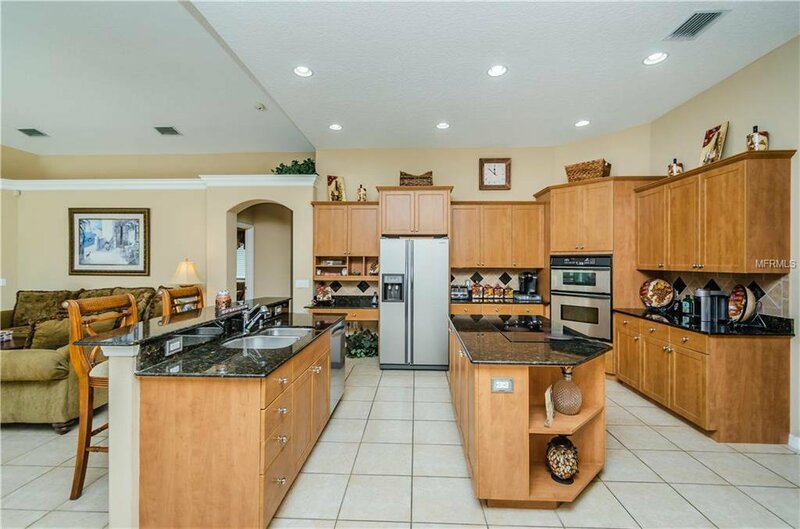 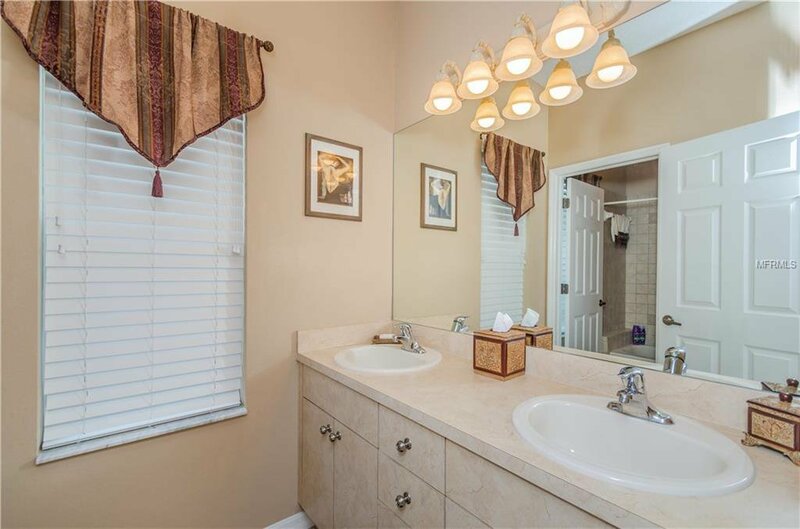 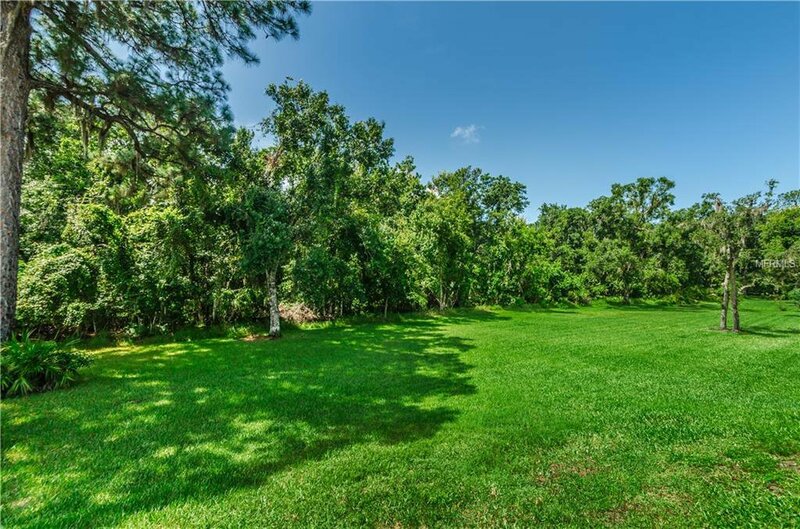 This home has everything and sits on almost 2 acres of a conservation lot at the end of a cul de sac. 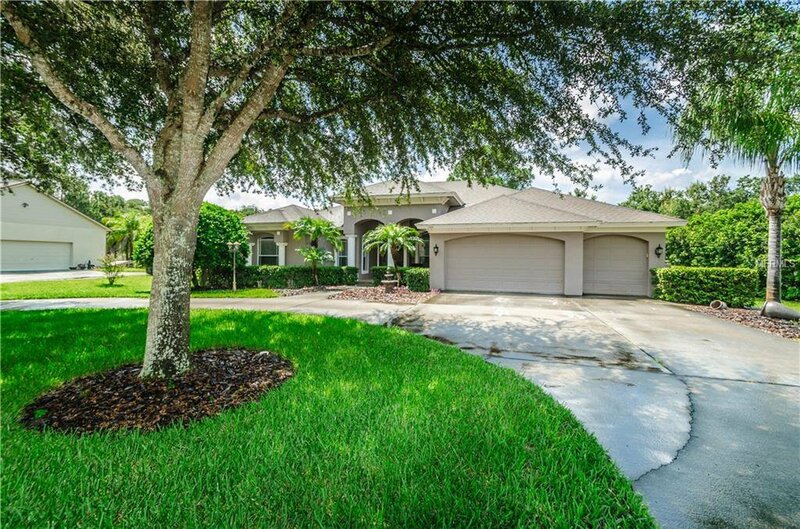 Custom built in 2004 by Avalon builders, this home has great curb appeal along with a large circular driveway. 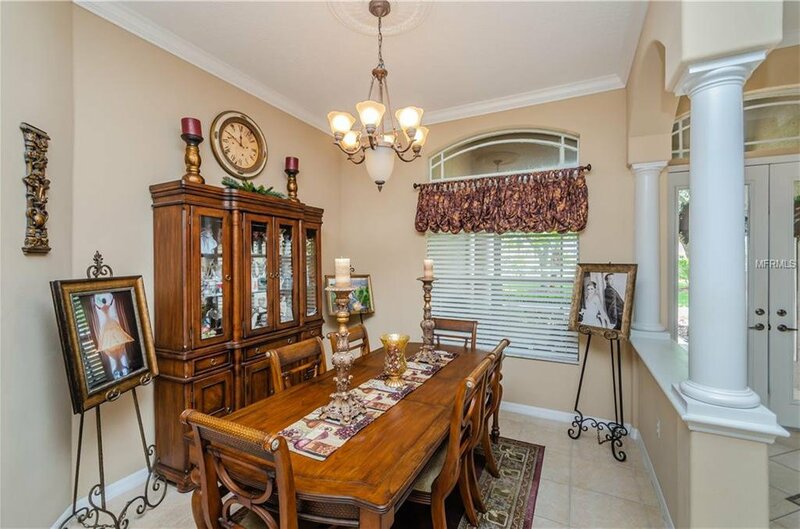 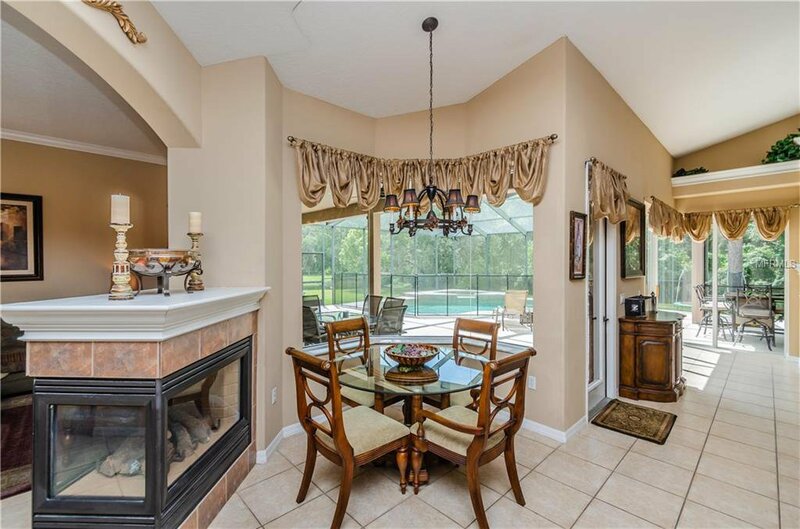 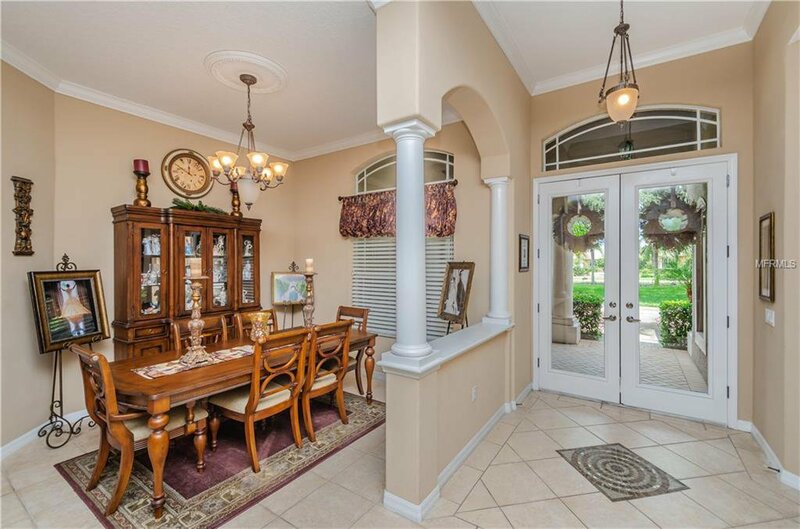 Enter through Beautiful glass double doors to the formal dining and living areas. 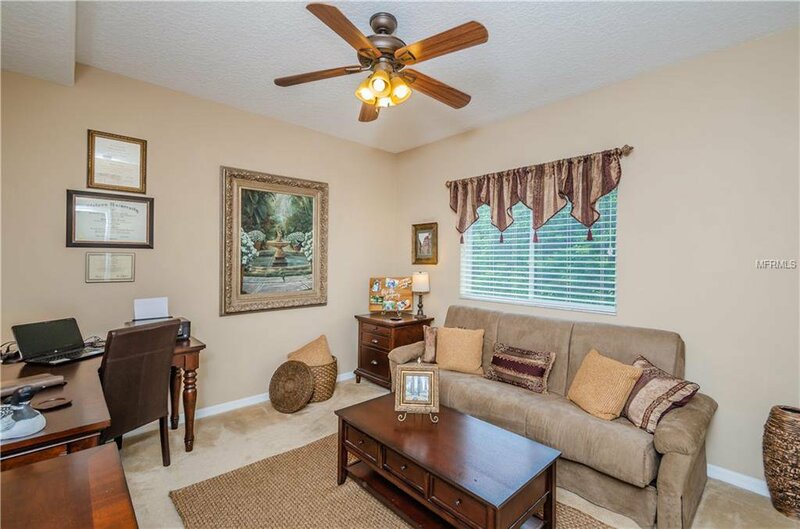 The office is also conveniently located near the front of the home. 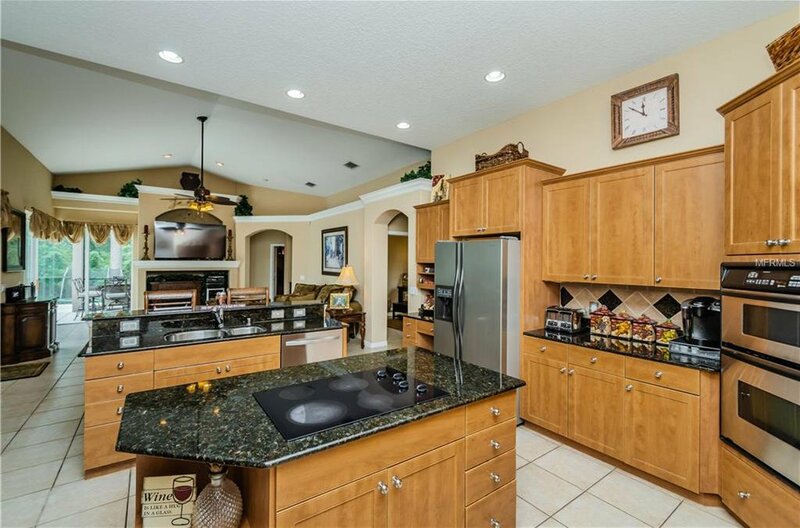 Additional features include crown moulding, granite counter tops, volume ceilings, stainless steel appliances, a GOURMET eat in kitchen, center cooking island PLUS an additional island and breakfast bar, double wall oven, undercount sink, wine rack and decorative tile throughout, and a built-in desk overlooking the family room. 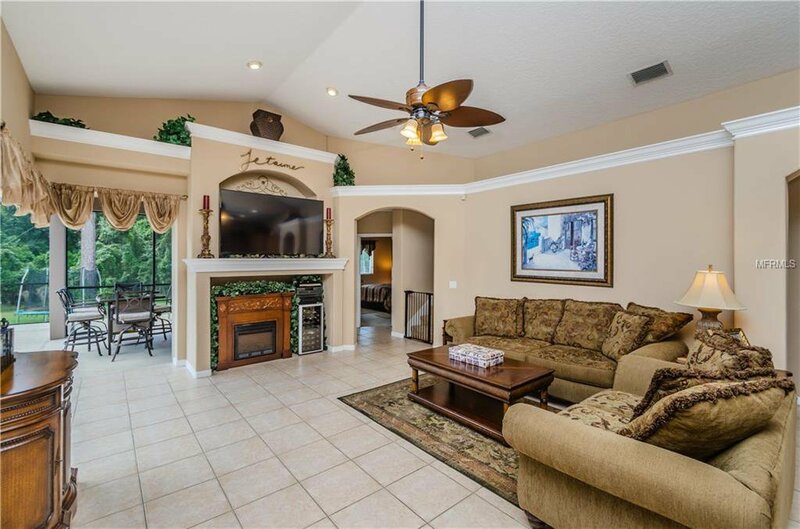 There is a double-sided fireplace to cozy up to in your formal family room, or enjoy the ambiance over coffee in the morning. 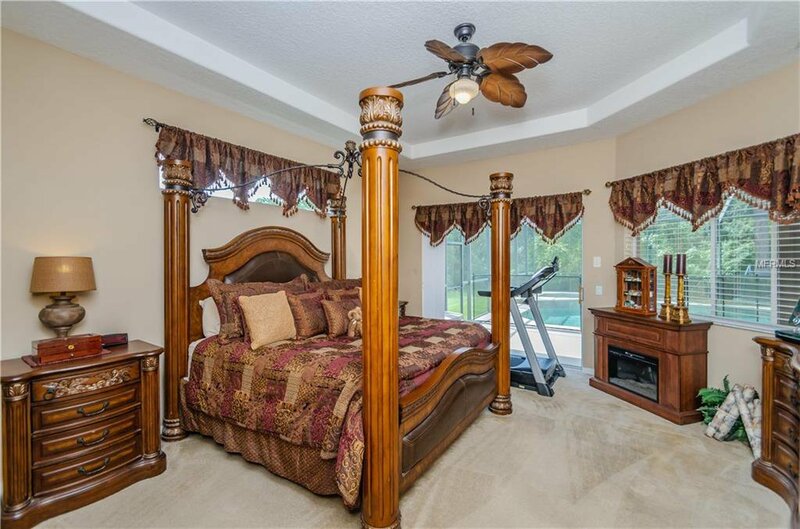 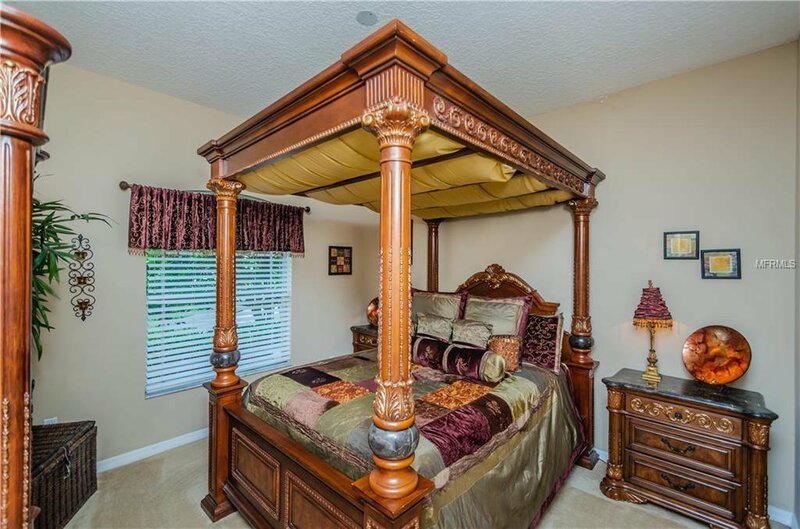 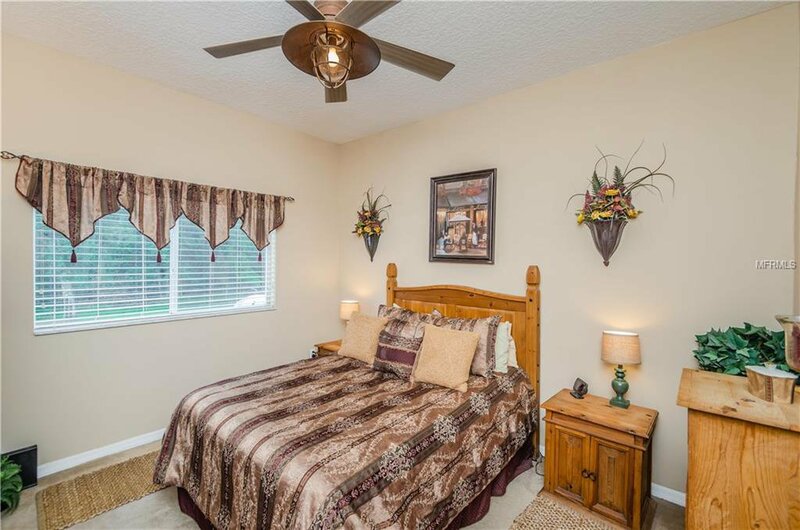 Master suite has tray ceilings in bedroom and ensuite bathroom, garden bath and separate shower. 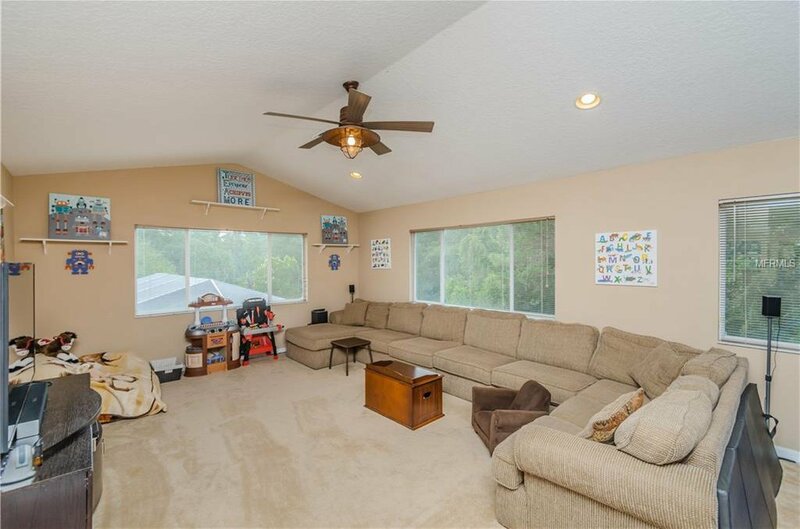 Family room is perfect for entertaining and has gorgeous views of the pool / lanai, which is great for entertaining and the conservation view. 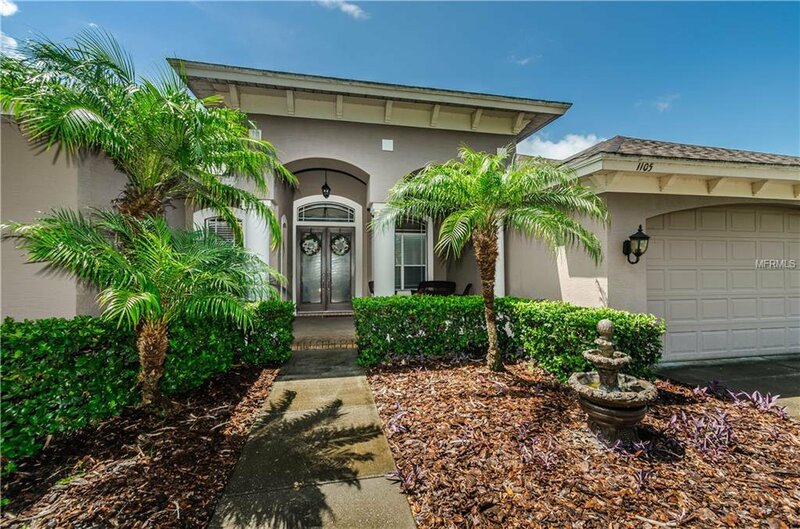 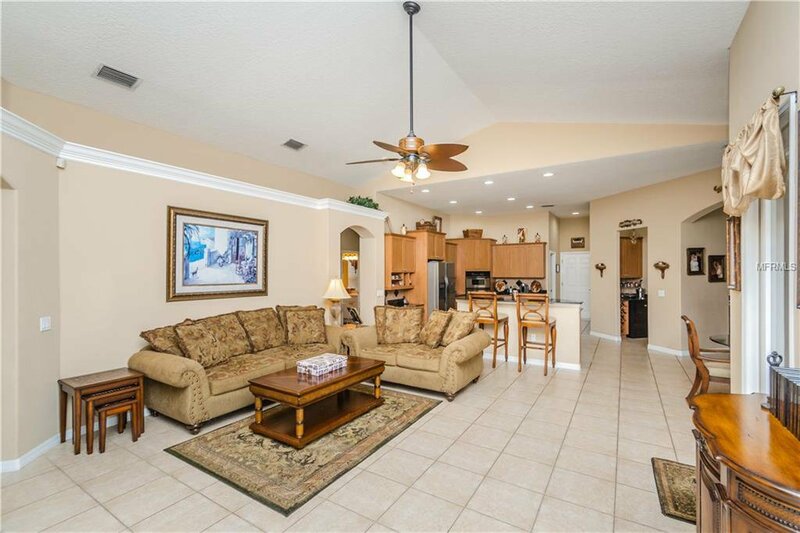 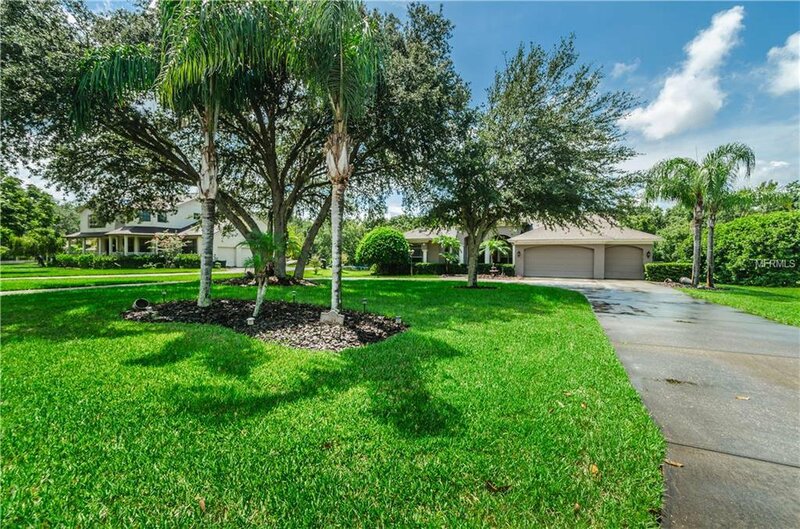 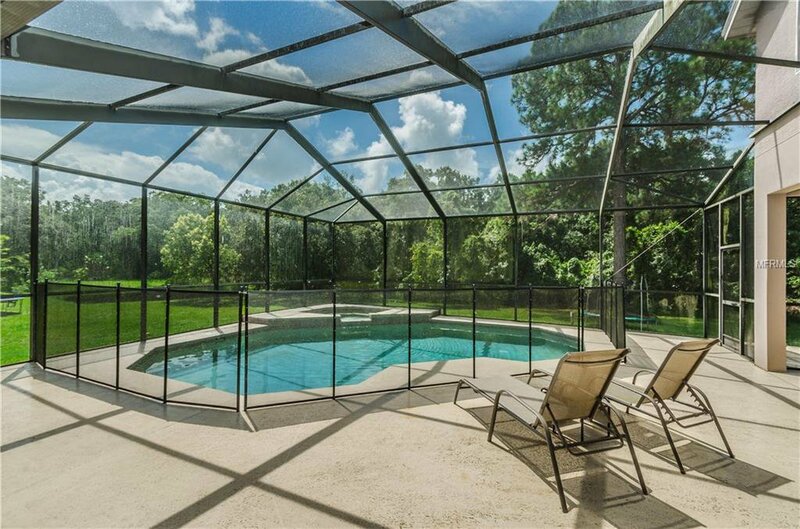 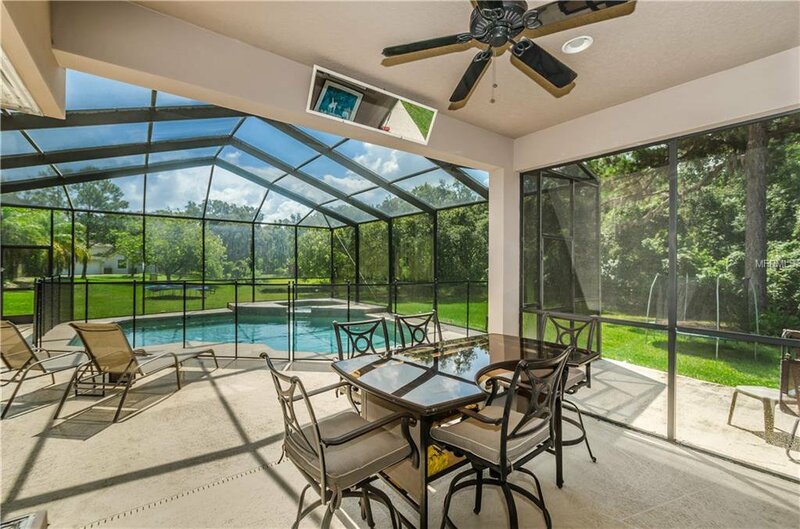 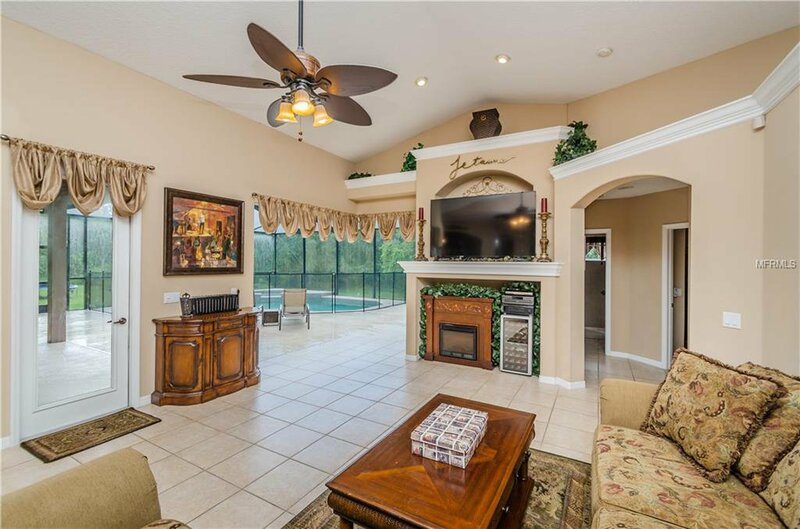 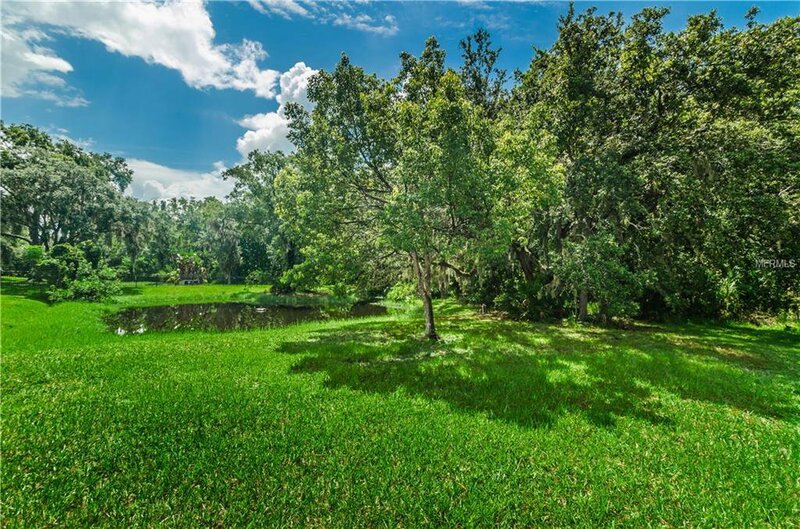 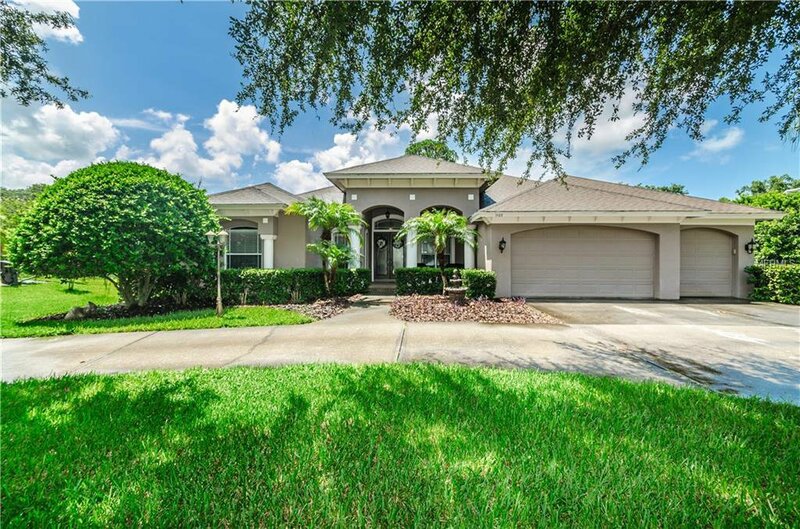 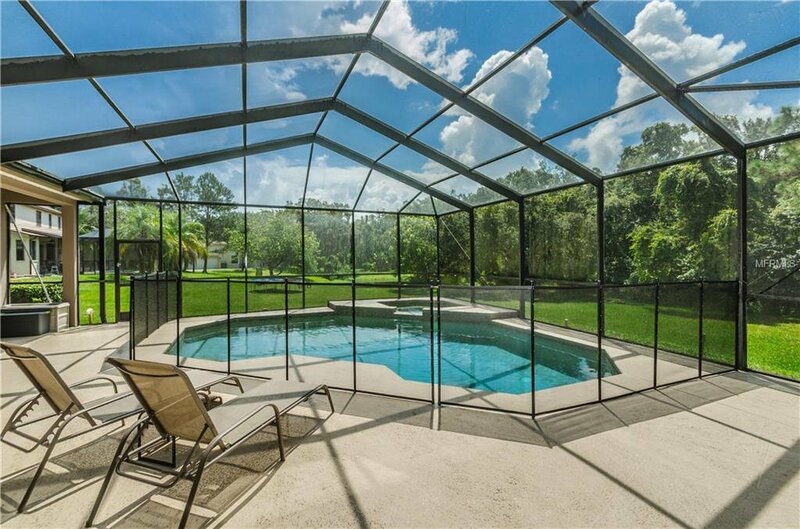 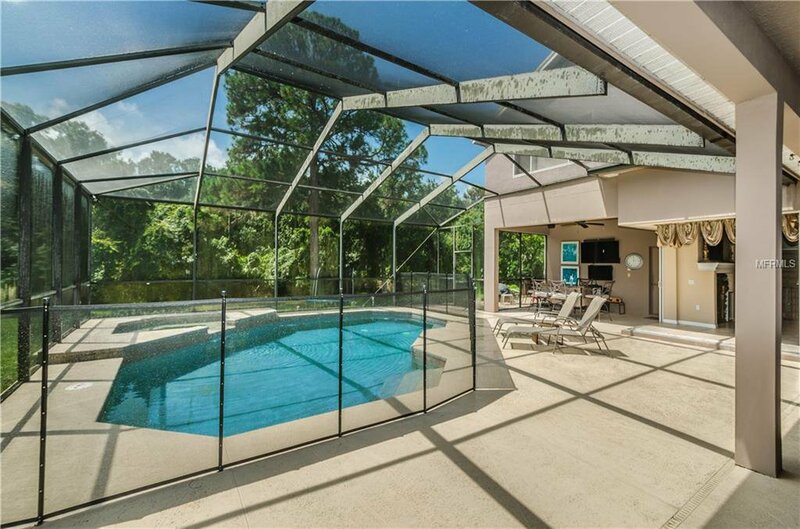 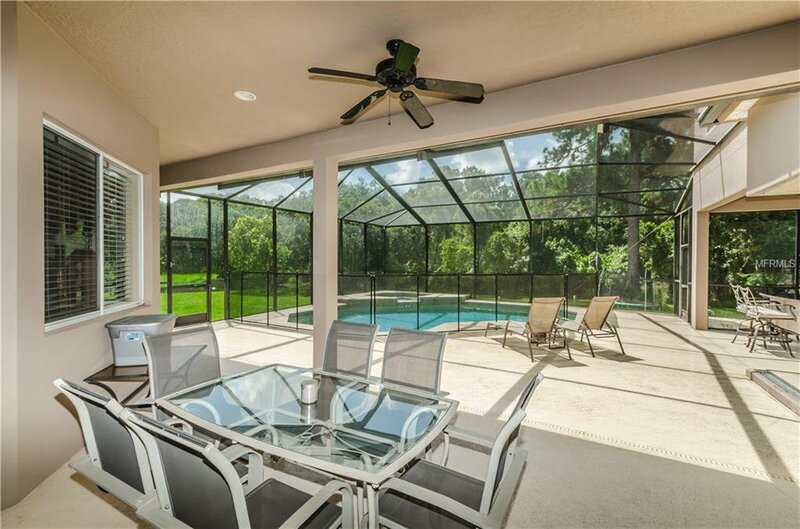 Enjoy your large lanai and pool with friends and family for entertaining, grilling out and the peaceful views over your spacious yard and beautiful conservation views. 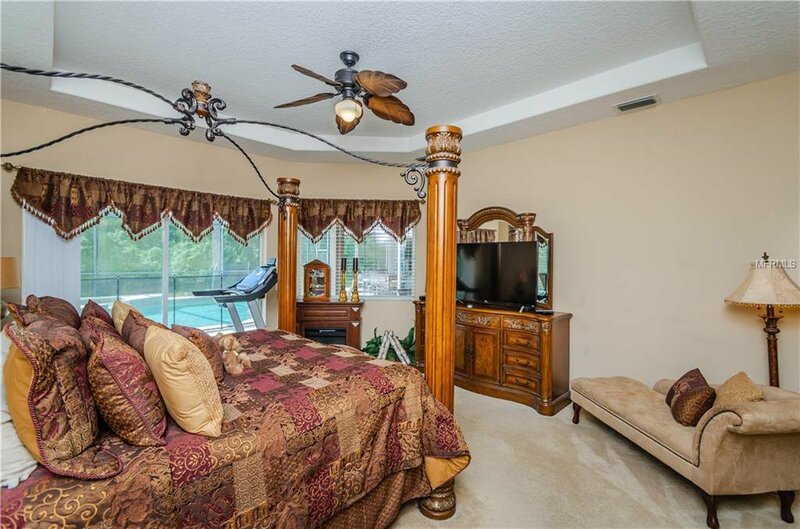 Close to dining, shopping and entertainment, but secluded enough for privacy. 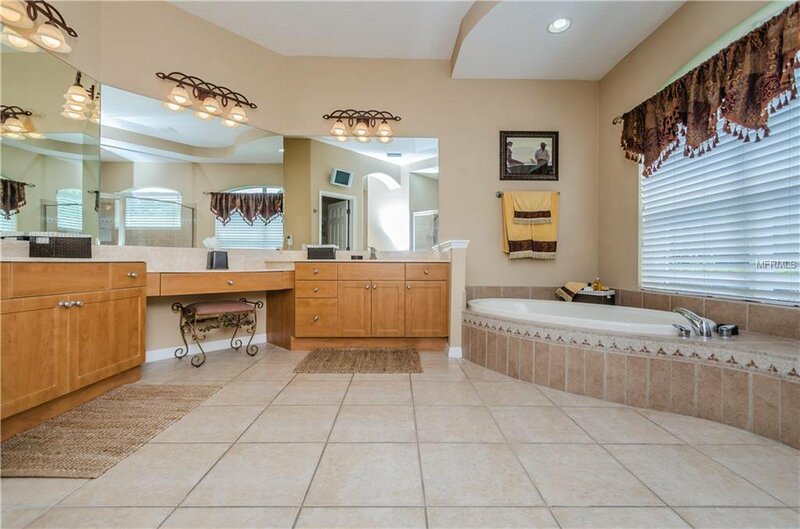 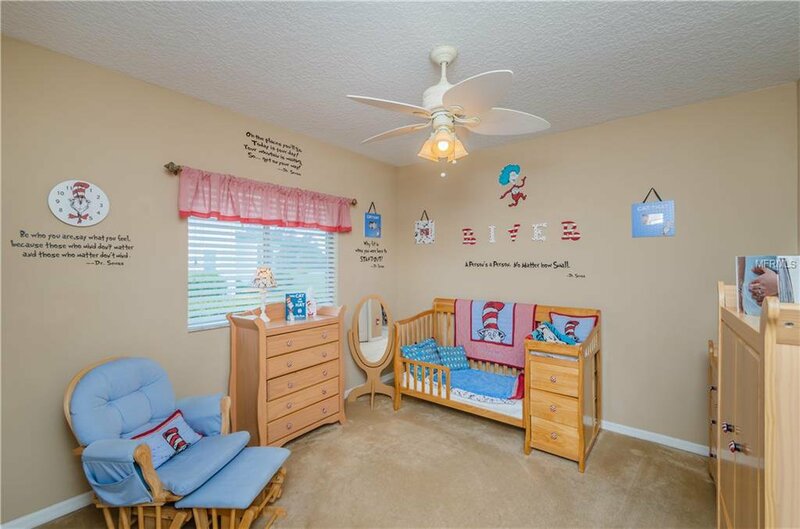 Listing courtesy of RE/MAX CHAMPIONS.